Families, community members, faculty and students gathered on the Chicano/a house lawn for CSUN’s 29th Annual PowWow, hosted by the American Indian Students Association (AISA), on Nov. 24. 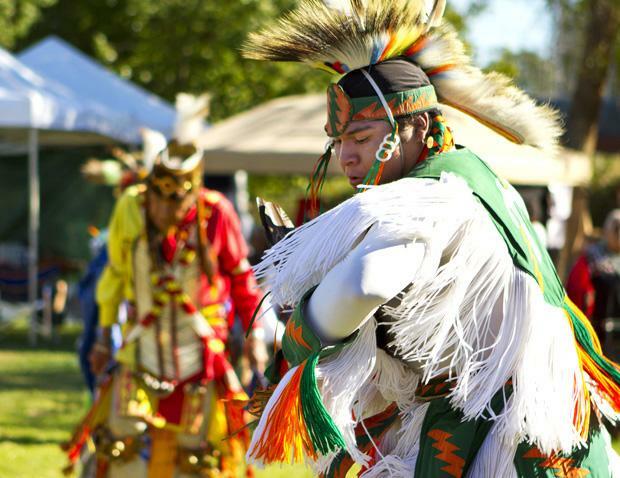 Throughout the day, dancers representing various tribes exhibited a variety of dances, such as a fancy shawl dance, accompanied by traditional drumming and songs. In addition to the dancing, vendors sold a variety of goods and crafts including T-shirts, jewelry, and dream catchers. Sue’s Frybread sold Indian tacos and frybreads smothered in honey, powdered sugar and fresh strawberries. 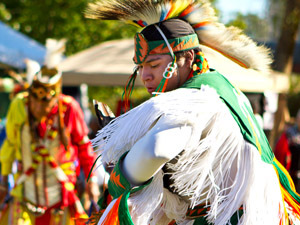 Traditionally held in the Orange Grove, the powwow was moved to the Chicano/a house lawn last year in order to facilitate a larger arena and accommodate more spectators. Scott Andrews, professor and coordinator of CSUN’s American Indian studies program, described powwows as multi-layered events that are educational, social and cultural. 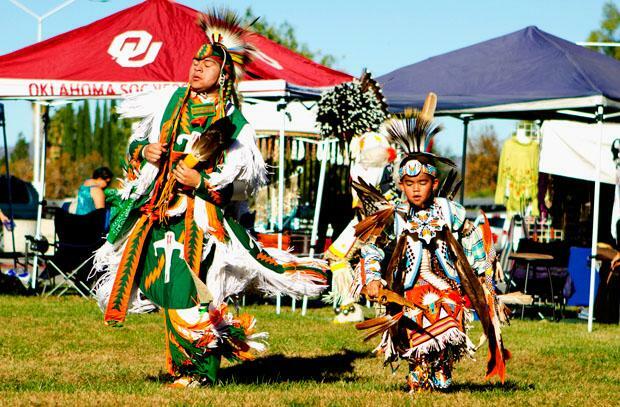 “There are about 200,000 American Indians in Los Angeles County alone and powwows are a way for people who closely identify with their native cultures to gather and spend time together and celebrate those cultures,” said Andrews. Karen Baird-Olson, former American Indian studies coordinator and professor of American Indian Studies and criminology, said the powwow was originally started in the 1970s but had not been held in a number of years and was revived shortly after her arrival at CSUN in 2000. In addition to crafts and snacks, AISA sold raffle tickets to win a Pendleton blanket and other prizes donated by vendors. Dance competitions with prizes for both men and women were also held. A portion of the proceeds raised will go to AISA to help fund next year’s field trip to the World’s biggest powwow in Albuquerque, New Mexico, in late April.